As of today, February 22, 2017, the petition letter has not yet been signed by our Secretary of Health. There are currently three bills in New Mexico’s ongoing legislature that address the legalization of cannabis, increasing plant count, increasing medicine limits per patients, legalizing hemp, and regulating and taxing cannabis. The Secretary may be waiting to see what the legislature, which concludes the end of March, does with these cannabis bills, and whether they pass. Our Governor is very unfriendly toward cannabis and has vowed publicly to veto any bills presented to her. However, to her credit, our cannabis program has grown to over 36,000 patients under her leadership. 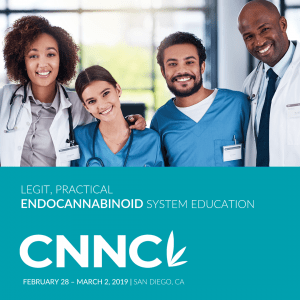 How can nurses create a sea change in the way cannabis is used as medicine? Here’s how I did it: I saw that there was a great need out there among my cannabis patients who were certified for cannabis under another condition: They needed help quitting or cutting down on their opiate use. Often, these patients were heroin addicts, or were pain patients, using heavy doses of opiates and wanted to get off. You must have your research in hand before you want to effect any change. Even though we are in an anti-science climate, public officials respect the work of robust research, with which no one can argue. I started doing online research. 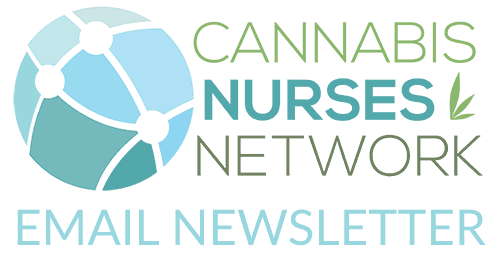 PubMed and The American Cannabis Nurses Association are mostly where I started, and now Cannabis Nurses Magazine. They have a compendium of articles on sound clinical research that is being done around the world on 1.) cannabis and pain; 2.) cannabis and opiate use, as well as 3) cannabis and symptoms of opiate withdrawal and maintenance of sobriety. Evaluating the bibliography of each article is what helped me compile a 21-page bibliography for my research. I would choose relevant articles from that bibliography, choose relevant articles from the bibliographies of the subsequent articles, and so on. When done online, nurses can just click on the link in each bibliography, and it will take you right to the articles. I then compiled the abstracts of each relevant article and came up with my bibliography. I also placed a summary comment after each citation. 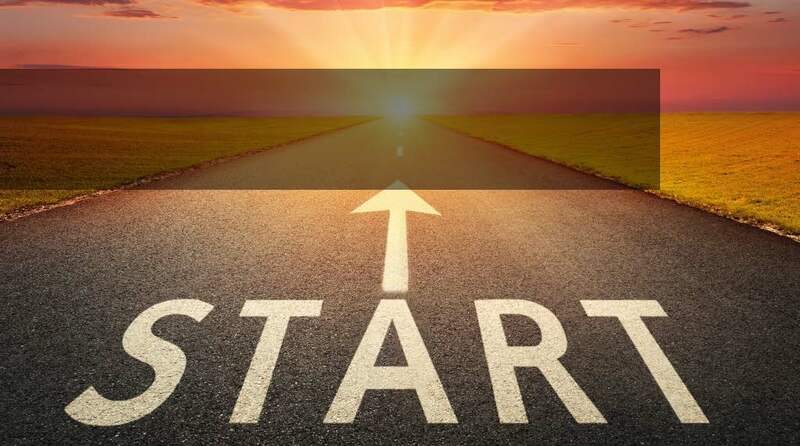 If you as a nurse want to change something in your neighborhood, your hometown, your state, look carefully at the problem, gather data, and focus narrowly on what it is you want to change. I did mine on Opiate Dependence; I could have done “substance abuse” or “opiates and alcohol,” but these were too broad and cumbersome. Wanting to cut down or stop using the substance but not managing to. This is a sign of addiction. Cannabis has been demonstrated to be much less addictive than other drugs. Spending a lot of time getting, using or recovering from use of the substance. See #2. Medical cannabis patients (hopefully) are fortunately not put in this position. Cravings and urges to use the substance. Again, this is a sign of addiction. If a “craving” exists among cannabis patients, it could mean their symptoms have returned and need to be treated with medicine. People use cannabis to self-medicate their symptoms. Not managing to do what you should at work, home or school, because of substance use. This can indeed occur; cannabis can cause impairment. Continuing to use, even when it causes problems in relationships. Sometimes the patients’ friends/family/co-workers need more education on why cannabis is working for the patient. Giving up important social, occupational or recreational activities because of substance use. I would argue that in the case of cannabis patients, just the opposite occurs: the patients are once again able to perform life activities because they feel so much better. Using substances again and again, even when it puts you in danger. Research has demonstrated that cannabis is much less dangerous than alcohol, heroin, cocaine, etc. Continuing to use, even when you know you have a physical or psychological problem that could have been caused or made worse by the substance. See #8. Research has shown that patients that are truly in need of cannabis improve physically and psychologically (PTSD is a good example). Needing more of the substance to get the effect you want (tolerance)This can indeed happen with cannabis. See item # 1. Development of withdrawal symptoms, which can be relieved by taking more of the substance.” Withdrawal symptoms” in cannabis patients simply means that their original symptoms have returned for which the cannabis treated (ex: nightmares in PTSD). Because these symptoms return, of course, the patient is going to “crave” their medicine. This is different than craving, for example, heroin, in which there are “cues to use,” such as seeing certain people, being in a certain neighborhood, or the classic withdrawal symptoms we see among heroin addicts and alcohol addicts that require immediate medical attention. For patients who are legally using medical cannabis in the states which allow them, the term “dependency” is an inaccuracy. If you were diabetic, are you not “dependent, but not addicted” to insulin? If you have a thyroid deficiency, are you not “dependent, but not addicted” to thyroid supplement? You see my point? These criteria were set in place to “treat” cannabis users while ignoring that there are millions of people who successfully use cannabis as medicine. The National Institutes of Health (NIH) uses these criteria to “research” the “problem” of cannabis use in our country. The job of the NIH is to prove how “harmful” cannabis is. Fortunately, an abundance of research is now available to debunk a lot of this. New, exciting research is coming out every day from all over the globe that is proving how wonderful medicine cannabis is. Tap into that research. Make a difference in your community! My name is, Anita Willard Briscoe, and I am a native New Mexican from Espanola, living in Albuquerque. I have been a nurse for 40 years, a psychiatric nurse practitioner for 12 years. I have been referring patients to the cannabis program for seven years. Over these years, I have observed that about 25% of my patients have stated independently that they were able to kick opiates with cannabis. They state it calms down their cravings, relaxes their craving anxiety and is helping them to stay off opiates. If they are in pain, cannabis is helping relieve their pain, often to the point that they don’t need opiates anymore. I began researching the medical literature more deeply to determine what it is about cannabis that’s helping. What research is discovering is that THC and CBD occupy the Mu Opioid Receptors, the same places that opioids work. I also started counting and asking my three cannabis-referring colleagues if they’re observing the same thing, and they too are seeing that their patients have been able to kick opiates with cannabis. Together, we have approximately 400 patients who have been successful quitting opiates, using cannabis. I am here today to petition you to add opioid dependence to the list of qualifying conditions for medical cannabis. I have included four separate bodies of research, cannabis withdrawal, detox and maintenance, safety, and harm reduction, the economics of how cannabis has reduced prescription costs, and cannabis and pain relief. I have also included letters of support from Steve Jenison MD, former Chair, Medical Advisory Committee, Bruce Trigg MD, International Public Health Consultant, and medication-assisted treatment provider for the ECHO Program, and Clinica De Salud, Rep. Debbie Armstrong, and Sen. Jerry Ortiz y Pino. Also included is a letter was written by Sen Elizabeth Warren to the CDC, directing them to begin studying the use of cannabis for the treatment of opiate dependence. The cover page to the bibliography is a graphic reminder of how very serious and debilitating this disease is to our State, as well as how our opiate overdose and abuse problem has been increasing over the last 13 years. Indeed, since the imprisonment of El Chapo this year, the Mexican drug cartels have dramatically lowered the price of heroin and are adding the even more deadly Fentanyl to it, or are selling pure Fentanyl. We see skyrocketing overdose deaths as a result. I have focused some of my research on pain, and even though pain is already an approved condition, expanding the program to include opiate dependence is the next smart, logical step. After all, pain is usually the reason patients start getting addicted to opiates. You probably have heard the story: They start out with some pain pills for a condition such as a sports injury, and they get hooked. They then probably get cut off by their prescriber and have to get pills off the street, which are very expensive. It is easier and cheaper to get heroin. I am writing this petition from my heart: I love my patients and feel very protective of them. The fact that people cannot get cannabis for their opiate addiction is a travesty. Just imagine if they had access to cannabis and were able to kick their habit, how our state would change for the better. Crime would go down, health care costs would diminish, overdose deaths would fall, and it would help our economy to flourish. (Imprisonment for the cannabis use cost the state $33 million last year.) Without the familial crisis of opiate dependence, New Mexico’s children would also be safer; families would be more stable. As I mentioned, I’m from Espanola, the town with the dubious title “The Heroin Capital.” I’ve seen firsthand how heroin has destroyed, decayed and desiccated my beloved hometown. The patients that come to see me now that are from Northern New Mexico describe a very dangerous environment in their communities with heroin. Indeed, when I was helping a physician prescribe Suboxone to my patient from Espanola, he was murdered for his Suboxone. Patients are very motivated to get off of heroin, but getting into medication-assisted treatment is very difficult. One of my patients from Clovis has to drive to Albuquerque every week to get her Suboxone. There is a shortage of medication-assisted treatment providers. I wish to stress that I am aware that medication-assisted treatment (Methadone and Suboxone) is the standard of care, and I am not looking to replace it with cannabis. But the research shows that cannabis works well as a complimentary treatment. Having access to cannabis would be a great help to our patients. Also, referring for cannabis is a harm reduction intervention that can help to link people with medication-assisted treatment, harm reduction (syringe exchange and naloxone especially), mental health care services and medical care (such as treatment for hepatitis C). This move would also be a rich opportunity to begin researching in New Mexico, particularly prospective studies on opiate use, overdose and death reduction. You may ask, why add Opiate Dependence as a qualifying condition? Here are some answers. The patients are using cannabis to treat their dependence anyway. It has been proven by medical research to work. Arresting and imprisoning them for using cannabis to stop using opiates is expensive for NM. Medication-assisted treatment is difficult to get into, sometimes with very long waiting periods to get into the program, as well as having to drive long distances. Finally, we owe this to our patients. A treatment modality that is within close reach is unattainable because it’s illegal. Research views medical cannabis as legitimate harm reduction. Using this model, cannabis is much less dangerous to the patient and his/her community than the heroin and Fentanyl that is now on the streets and is often more readily accessible. Our state’s cannabis program has often been a model that other states are following as they legalize medical cannabis. We are a leader in this effort! Let’s continue to lead and be innovative, and use solutions that work. You may be aware that Maine attempted to add opiate dependence to their list of qualifying conditions this summer, and failed, due to “lack of evidence.” I am here to tell you that the bibliography I have developed shows beyond a shadow of a doubt that there is an abundance of robust research on the topic. New Mexico can and should lead the way in taking advantage of this opportunity to give opiate dependent patients access to medical marijuana. I encourage the Medical Advisory Board to review this petition for inclusion of Opiate Dependence to the current list of qualifying conditions for the Medical Cannabis Program. The risks would surely be outweighed by the possibility improving lives or even saving just one life. We have an opportunity to explore and lead the nation in researching what could be a compassionate, and revolutionary treatment for addiction. In concluding, I ask that you as the Medical Advisory Board consider adding Opiate Dependence as a qualifying condition. I know there are forces out there such as the big pharma, the alcohol lobby, and the private prison lobby, as well as other strong anti-cannabis forces in this state that want to hold back progress for treatment. My colleagues, myself, and all our patients ask that you DO NOT buckle under these forces and do the right thing by allowing opiate dependence to be on the list of qualifying conditions for the use of medical cannabis. Results of this study confirm previous findings with CBD and indicate that its derivative HU-219 may possess a similar anxiolytic-like profile. The Substance Abuse and Mental Health Services Administration (SAMSHA) describes the side effects of marijuana as sleepiness, trouble concentrating, and decreased social inhibitions. These seem mild in comparison to the harsh side effects of replacement medications. Prescribing medical cannabis in Canada: Are we too cautious?